It’s a psychological mystery where the female protagonist stumbles into a deserted shack with no memory but a gun in her hand. There she meets an apparent stranger, Red, and the two find themselves isolated and under attack from unseen assailants. Barricaded inside for a sweltering night, cabin fever sets in and brings her flashes of insight which might be memory or vision as the swamp sighs and moans around her. Exploring in the dark she finds hidden keys that seem to reveal her identity and that of her mysterious host, but which are the more dangerous – the lies he’s told her, or the ones she’s told herself? Nemesister kicks off at a breathless pace and doesn’t really let up. It’s a compelling, gothic tale, told through the eyes of a character who can’t remember who she is. Flashbacks light up parts of her story, but they merely add to the confusion. Who is she? How has she got to the shack? And who is the mysterious stranger? As the night draws in, it becomes clear that the pair are forced to spend the night together. The sense of unease begins to escalate. Nemesister is an intriguing read. The characters are fascinating, and the setting claustrophobic and intense. Secrets are revealed gradually, but so are the lies – we’ve got an unreliable narrator, in an unreliable situation, with a distinctly unreliable companion. It’s hard to say too much without giving away too much of the story. 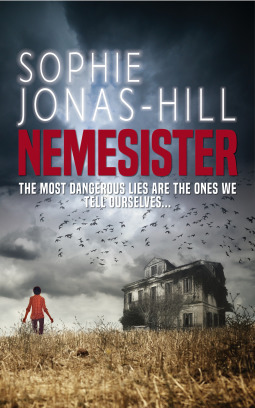 Suffice it to say that if you like your psychological thrillers in the american gothic style, with a hot, sticky, confined location, then Nemesister should be on your list. 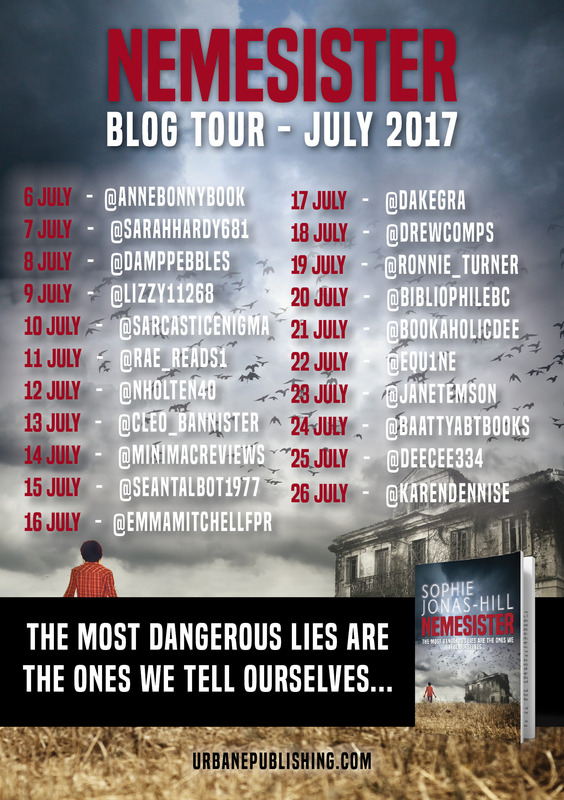 Nemesister, by Sophie Jonas-Hill is published on July 6th 2017 by Urbane Publications. You can find Sophie on twitter @SophieJonasHill, or at her website The House of Crooked Sisters. The blog tour continues tomorrow!